Since 2009 I have worked with Matthew Passmore of MORELAB (formerly REBAR) and Oikonos to design and fabricate nest modules for seabirds in peril. Oikonos Ecosystem Knowledge is a non-profit ecology and conservation organization working to restore degraded bird habitat on Año Nuevo Island, a state nature preserve and one of only a handful of islands off the coast of California. The island is home to a number of marine mammals and bird species, including the Rhinocerous Auklet, a state-listed species of concern. In 2010 I taught an interdisciplinary ceramics class at California College of the Arts (CCA) in collaboration with Passmore that focused on designing and prototyping ceramic nest modules for the Rhinoceros Auklet. After extensive subsequent design refinement, we fabricated 90 individual nest modules and installed them on the island. In 2012 we developed and installed thirty nest sites for Ashey Storm Petrels breeding in a several caves on the Channel Islands. 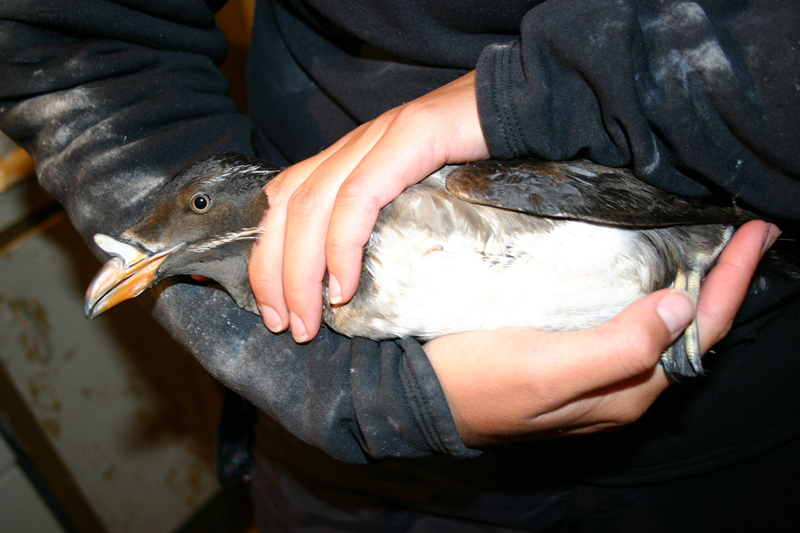 In Spring of 2015 we developed initial prototypes with students at CCA for the Cassin's Auklet . Stage two prototypes are being tested for heat mitigation on Año Nuevo Island and the Farallones Islands.